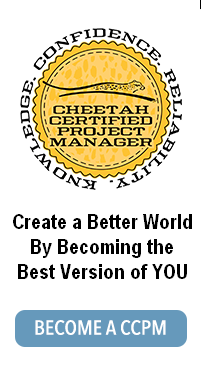 With over 60,000 Cheetah Learning students successfully achieving their goals by taking a Cheetah Learning course, we never have to say to our students ‘just trust us.” It’s a given Cheetah creates courses busy professionals can trust will help them achieve what it is they set out to achieve. In this same vein – being overly trusting of others before they have demonstrated their capabilities over time is risky business. Capability in one area does not naturally extend to other areas. While a strong aptitude might show a potential to have expanded capabilities in the future, it is not something to count on for completing the work on a critical project. When evaluating people’s capabilities for doing specific tasks – look where they have done similar work and the outcomes they achieved. When someone tells you they are not confident they have the skills necessary to do a specific task, I find it best to believe them and not push them beyond their proven capabilities. And the converse, when faced with someone who has more confidence and enthusiasm than capabilities, I give them small tasks in less critical areas to see how they perform before trusting they can take on more responsibilities requiring more capabilities. We know a great deal about trust at Cheetah Learning. 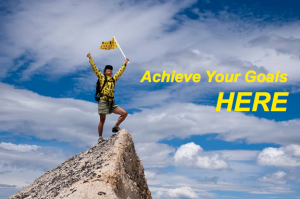 Every day students trust us to know how to help them prepare to pass the PMP exam at Cheetah speed or to improve some aspect of their career with our online project management courses. We value their trust and act consistently to make sure we maintain that trust. One of the ways Cheetah Learning initially establishes trust is by creating and offering many free reference materials. This way prospective students can make sure what Cheetah Learning offers will in fact help them achieve their goals. “Trust us” is not something Cheetah ever has to say – our students’ success says it for us. This entry was posted on Friday, February 19th, 2016 at 1:53 pm	and is filed under High Performing Business. You can follow any responses to this entry through the RSS 2.0 feed. Both comments and pings are currently closed.